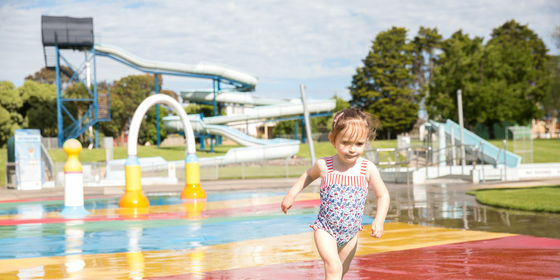 Doveton Pool in the Park is closed and will open again at the end of 2019 for the Summer season. Plus a BBQ and large shaded area to relax in. We are located on the corner of Tristania Street and Kidds Road in Doveton (with plenty of parking in Tristania Street) and we're open (weather permitting) from 1st December until 31st March each year. *Please also note; School Carnivals are held at Doveton Pool in the Park during various days in December, February and March. Swimmers should phone ahead to avoid disappointment. Opening is dependent on the temperature. If the forecasted temperature is 30°C or higher, the Centre will be open. Please note: We use the Scoresby Bureau of Meteorology forecast for our weather tracking. 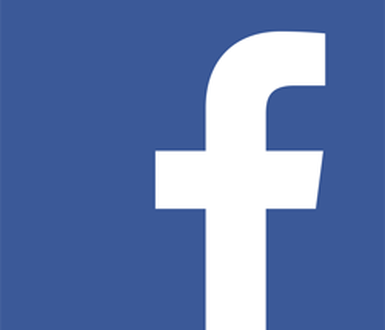 Follow us on Facebook for updates. For the 2018 - 19 season, starting on December 1, we have made a number of changes to improve your time at Doveton Pool in the Park. Firstly, we have made the water slides free. You no longer have to pay an additional fee to go on the slides, it is now part of your entrance fee. We have also varied the type of food we sell to include more healthier options. Our opening hours have changed as well. We now open at 11:30am and close at 7:30pm with the slides being open between 2pm - 6pm. Doveton Pool in the Park is located on the corner of Tristania St and Kidds Rd in Doveton with plenty of parking in Tristania Street. The water slide is now open and FREE at Doveton Pool in the Park! We apologise for any inconvenience, safety for our patrons is our highest priority and paramount for the continued operation of the slide. If the forecasted temperature is 30°C or higher, the centre will be open. Please note: We use the Scoresby Bureau of Meteorology forecast for our weather tracking. From swim carnivals to aquatic education and survival skills, we can tailor an aquatic program for your school or community group. We offer essential water safety and survival skills education to primary and secondary school students. In a practical environment they will develop physical skills, knowledge and understanding of a range of aquatic situations. Programs can be tailored to suit the age group and our AquaSafe Aquatic Education is fully mapped to and aligned with VELS. So whether you’re looking for a fun excursion or end of year event for your students, a venue for your swimming carnival, or an integrated component of your PE program, we are here to help. And remember, we’re committed to everyone having the opportunity to participate. So if you have a student in financial hardship, YMCA can provide subsidised access to the program. To learn more or to book please call 9705 5000. Follow us on Facebook for the latest updates on pool openings and conditions.